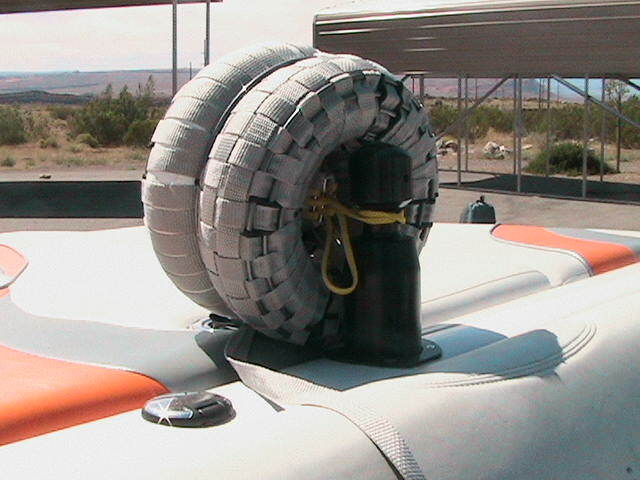 My Patented Shock-Absorber 'SA' effects the water ski tow line. Presently a refined prototype is being tested by the Editor if Water-Ski Magazine, and I am eagerly awaiting his findings to endorse that it addresses the needs of "Advanced' level Skiers, and my website Link documents the prior acceptance by the 'same' of the SA for 'Intermediate' skiers, and supported by a testimonial as related to the 'Beginner' skier 'INT League'. *What problem does it solve? Human Fatigue, for the sport requires a skill set to evade human fatigue during 'normal' activity, for there is a wide range of physical requirement to achieve the basic skills. The SA pays-out during the Deep-Water Start (common practice), whereby a skier is floating static, and is pulled to a planing surface at 30-35 MPH within seconds. The S-A pays-out and cushions the tow force as felt by the skier, the S-A recoils proportionally as the skier achieves a planning surface. The SA pays-out during the other limiting factor facing the modern water-skier, the 'Hit'; a hit occurs at the time that the tow-line slack is introduced and removed, and the planning skier must absorb the 'shock' of the re-application of locomotion after 'his' energy has decreased. The S-A pays-out during a 'Hit' and recoils during the transition, so the skier is virtually unaware of the cushioning. *Existing competing products do not exist in the marketplace. Will entertain all options. Ranging from sale,license or investment. Page created at 2019-04-25 0:16:43, Patent Auction Time.